Get Down to our Playlist! Lets discuss about KyleQuetsWorlds and suff. Here is where to post Ideas and Suggestions for KyleQuestWorlds. here you can ask questions about the game and you will get answer too. Here you can request music. 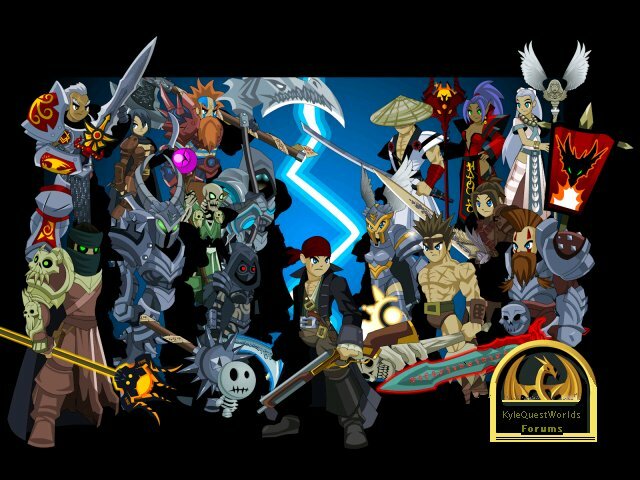 Here you can show us all of your creations like weapons,armors and other items and pets too. Here you request armors only. Here you can write your own quests. Report bug's here so we fix them. The world's most off-topic forum. This is a place where you can trade accounts or sell accounts.Please do not hack anyone or you get automatic bann.